Home Styles Cuisine Kitchen Cart in a cottage oak finish with a stainless steel top features solid wood construction, and Utility drawer; 2 cabinet doors open to storage with adjustable shelf inside; Handy spice rack, Towel bar; Heavy duty locking rubber casters for easy mobility & safety. Size: 32.5w 18.75d 35.5h. Built to perform wherever you need it, this 6 ft. wide workbench features a solid hardwood top with a 3,000-lb max distributed weight capacity. The heavy duty, welded steel legs feature a hammered white finish and adjust easily to provide the proper working height for any project. 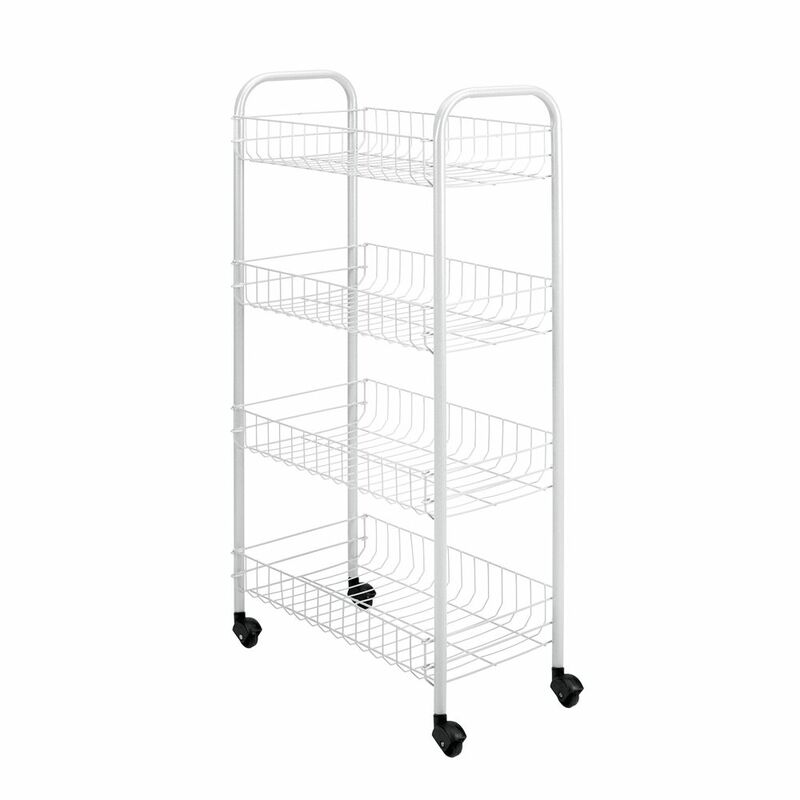 Pisa Rolling Cart 4-Tier 41 X 23 X 85 CM Metaltex offers a wide assortment of rolling carts. In the kitchen, bathroom, bedroom, studio or garage; Metaltex carts are the best multipurpose storing carts that ease the carrying of the many things that you always need on hand. Products coated in Polytherm <sup></sup> : the exclusive Metaltex anti-rust and dust coating. Made in Italy with hard-wearing materials to stand the test of time.